The Travers Auto Group is one of the fastest growing full service automotive dealers in the area. A family owned business since 1995, Travers Auto Group is know for quality new and used vehicles with full lineups from the best automakers in the industry. 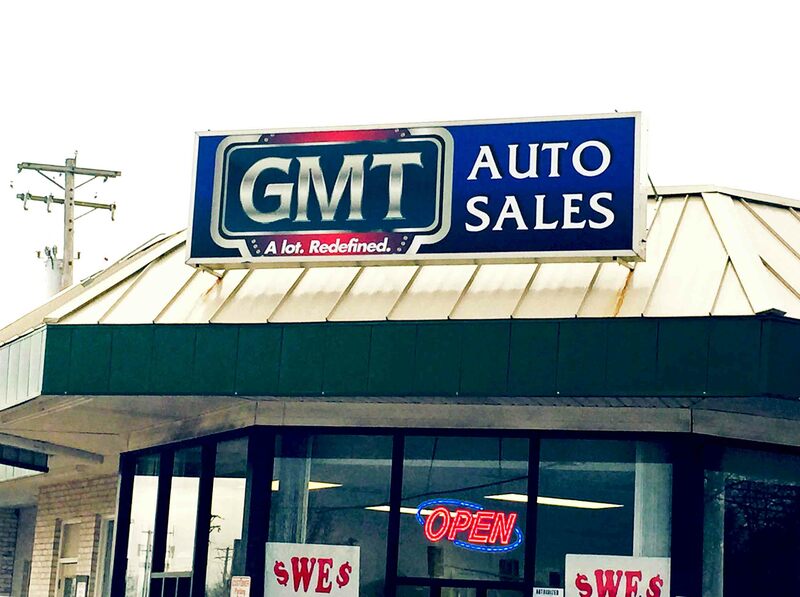 With over 6 locations in the metropolitan St. Louis/St. Charles/Metro East area, financing for everyone and immediate delivery, you’re sure to be abe to find the right vehicle at the right price and be driving it right away! And if you want to get out and explore the world in a different way, Travers can help with that too. 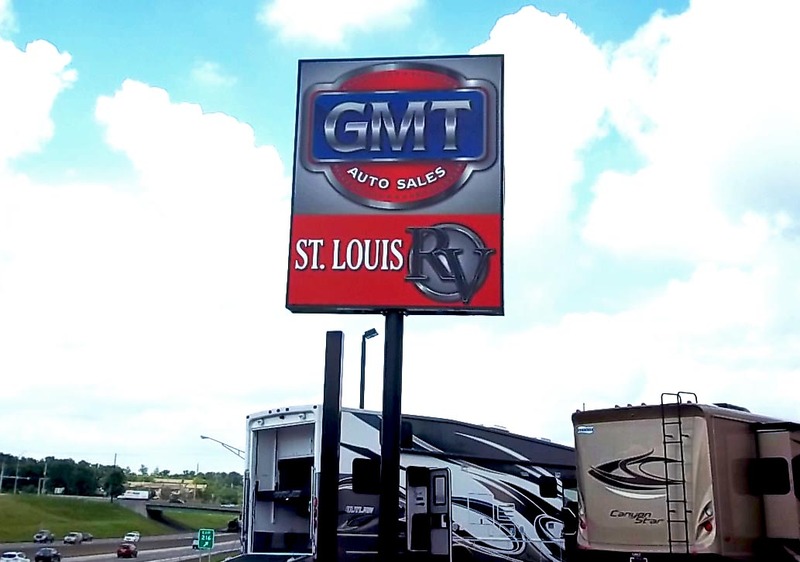 St. Louis RV and Bus is a leading dealer of new and used motorhomes, shuttle buses, toy haulers and trailers. Come explore the lot and make that dream a reality. They offer RV parts and accessories and have rentals, too. 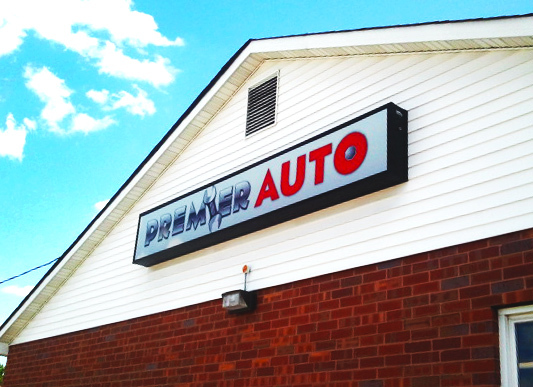 When it comes to service, Travers Auto has you covered. 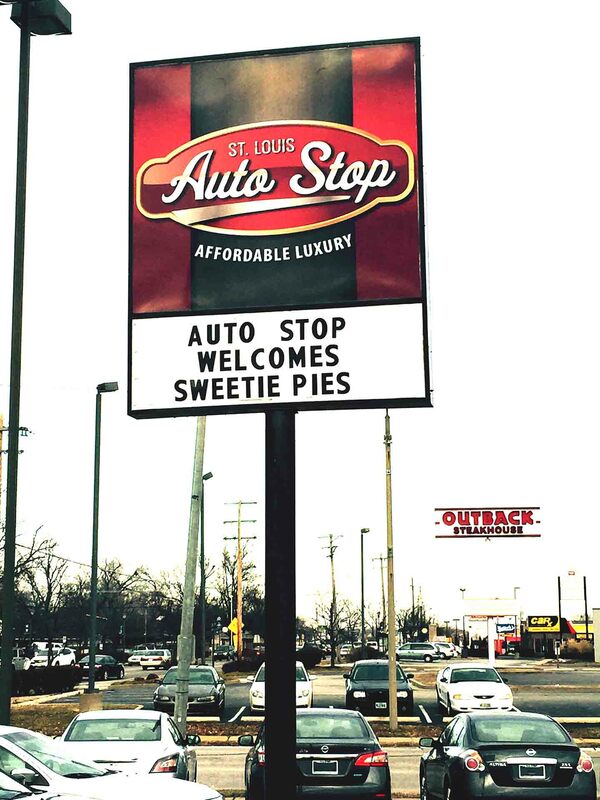 Whether it’s parts and service, body work, detailing or accessories, Premier Auto Service and St. Louis RV have the professionals and the locations around the area to get you taken care of. Call, explore the website or visit one of the locations in person to get started on a truly great automotive experience today- www.traversag.com. 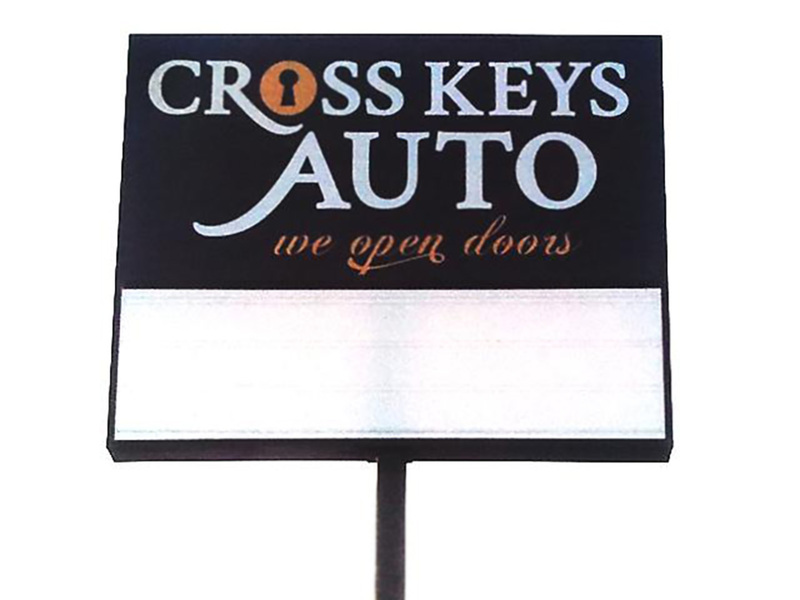 About the signs: Travers Auto has a lot to offer and they want and need to be seen! 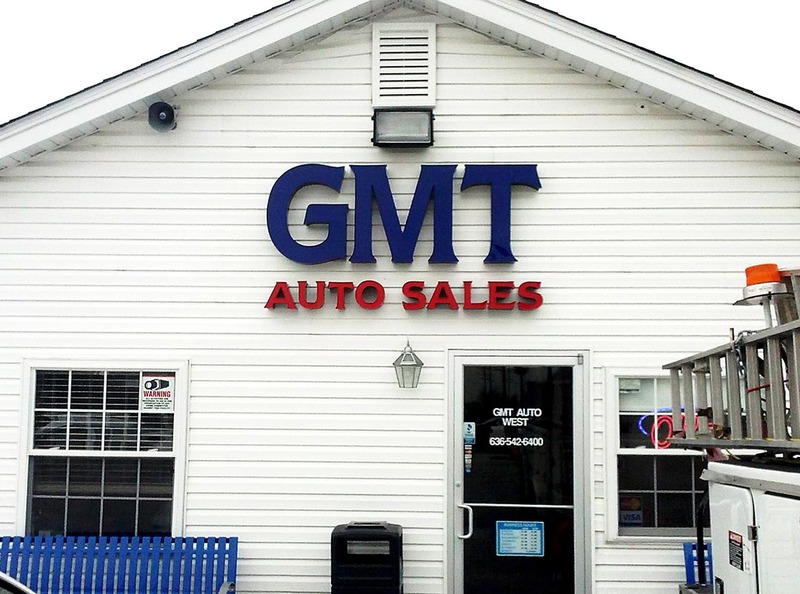 Landmark helped design and gain approvals for pole signs and full color digital LED message boards and then fabricated and installed them at GMT, GMT West, St. Louis RV, Motor City and Travers Automotive. 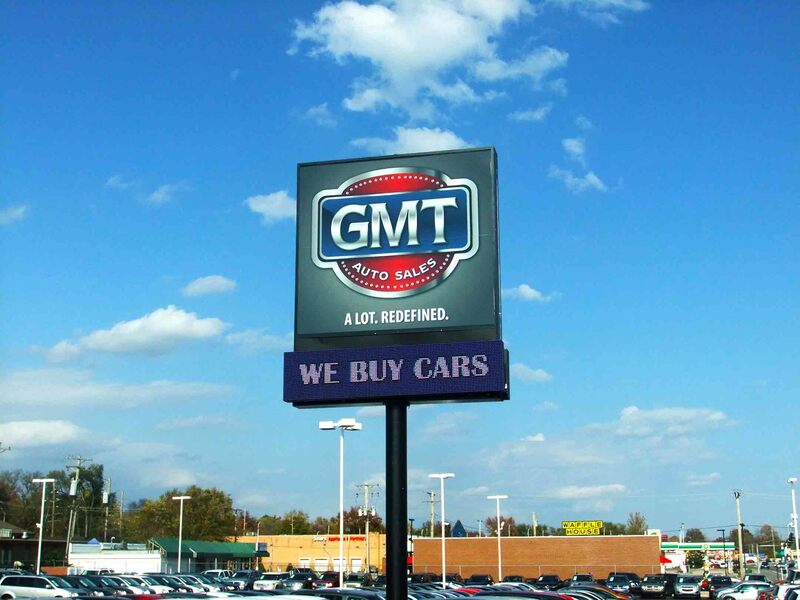 Signs were sized and styled to fit the locations including the 150 square foot, 50′ tall sign at Motor City. 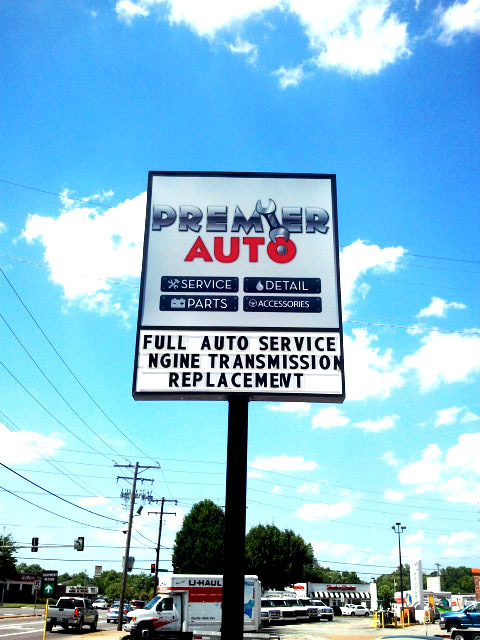 Premier Auto is located at 7700 North Lindbergh in Hazelwood. (314)938-3398. 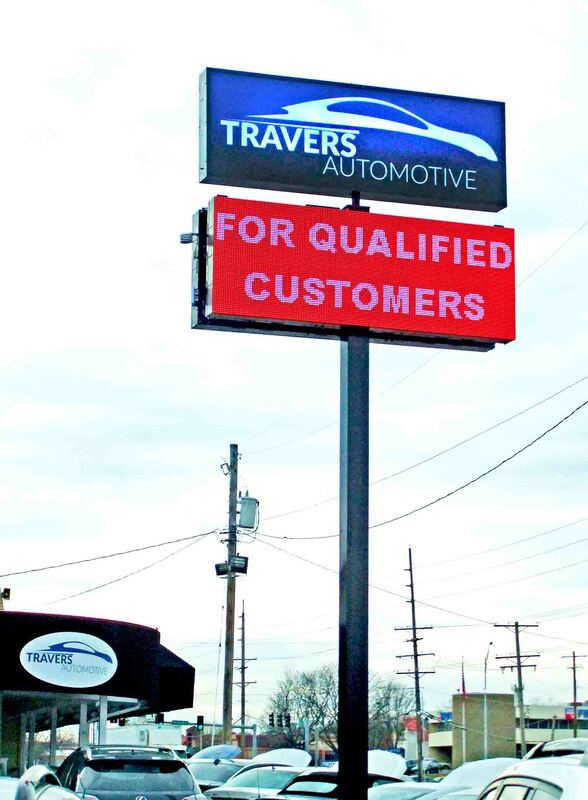 About the signs: New lighted channel letters, dimensional letters, and pole sign faces by Landmark look sharp and are meant to help further the brand awareness of Travers locations around the area.